Early in the 18th century, the East India Company began the educational activities in India. The Charter of 1698 directed the company to maintain ministers of religion at their factories in India and to take a chaplain in every ship. The company encouraged the establishment of schools at the principal towns within its territories and gave them liberal grants – in – aid. Thus the St. Mary’s Charity School was established in Madras. The charity schools of St. Mary’s in the fort founded in the early 18th century was perhaps the first western type of school established in this country and ancestor of an educational system. In 1784, the Society for Promoting Christian Knowledge established a school for the education of Anglo – Indian children in Madras. Military Male Orphan Asylum was opened in 1789. The Madras Male and Female Orphan Asylums was also founded by Eurasians for relief of the poorer members of the community in the early part of the 19th century. The Madras Male and Female Civil Orphan Asylums were the institutions of the Church of England. The object of these institutions was to provide boarding, lodging and education gratuitously for the orphans of Europeans and Eurasians or Anglo-Indians. The Monigar Choutry in Madras was an institution, which affords shelter, food and clothing to native poor and infirm persons without reference to caste. It was founded in the year 1808. The contribution of the Christian missionaries in the field of education is substantial and beneficial. For a very long time the Christian missionaries have been trying to spread primary and even higher education in India. 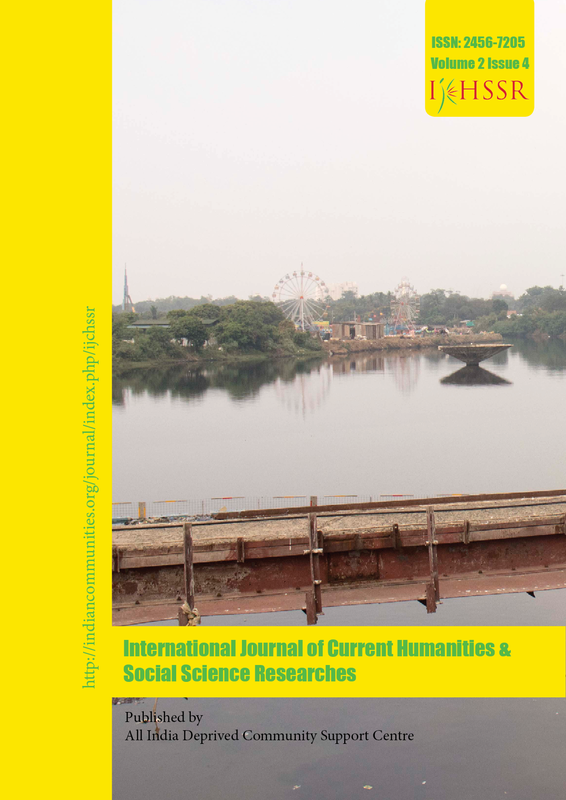 International Journal of Current Humanities and Social Science Researches - (ISSN: 2456-7205). The next issue is in June 2019.